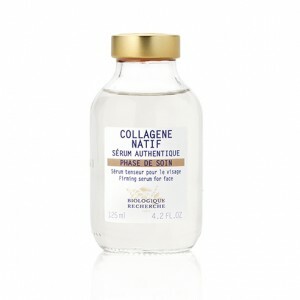 Sérum Collagène Natif is an intense treatment to restore and improve skin volume and plumpness. This serum is specifically formulated with biological collagen extracts, to strengthen the epidermis, tone and plump, whilst also tightening pores. Your skin will be left hydrated, silky soft and glowing. Ideal for dehydrated, less toned Skin Instants® and/or for thick Skin Instants® with open pores. Plumping agent: Biological Collagen Macromolecule.